When we think about the future of drone integration into the national airspace, especially for package delivery, one topic very few have thought about is how will this effect noise pollution? The majority of drones to date have loud propellers, in some cases like octocopters, many loud propellers. This could be a problem when there are multiple flights happening at once within the low altitude airspace. Imagine looking up in the sky and seeing three, four, or five Amazon drones delivering packages to your neighbors hearing the propellers constantly buzzing by. 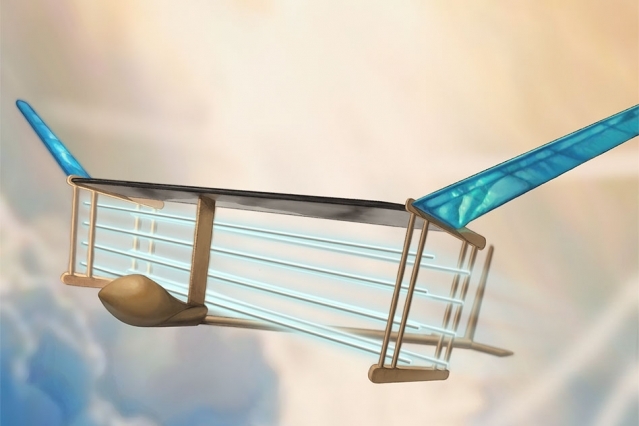 MIT is working on this issue with their silent aircraft that has no moving parts. How can that be? An aircraft with no moving parts you say, that’s impossible? Well here is how it works. Barrett and his MIT team took a 5 pound aircraft, carrying wires and batteries and flew it indoors for 60 meters multiple times. This simple aircraft proved the concept. An aircraft can be propelled by ions flowing towards negatively charged wires, having the ion collide millions of times with air molecules, thus creating thrust. This project has huge potential in the unmanned aircraft space, where in denser populated areas, noise pollution could become a larger issue in the near future.